Today, I am comparing two liquid eyeliners that to me are very very similar - Ink Liner by Make up Forever (AED 120) and the best selling Long Lasting Eyeliner by Sephora (AED 69). As you can see there is a huge difference in the price of the two products, so let's see if it's worth paying almost double? Have a look at the picture above. I think that it's hard to spot many differences and to be fair on the eyes they look exactly the same! They are both carbon black, matte and long lasting, both dry very quick after application and you can draw thin and thick lines with both. The reason why I drew three lines with each eyeliner is because I wanted to show you what thickness you can achieve with them. I believe both are doing great job and the results are pretty similar. 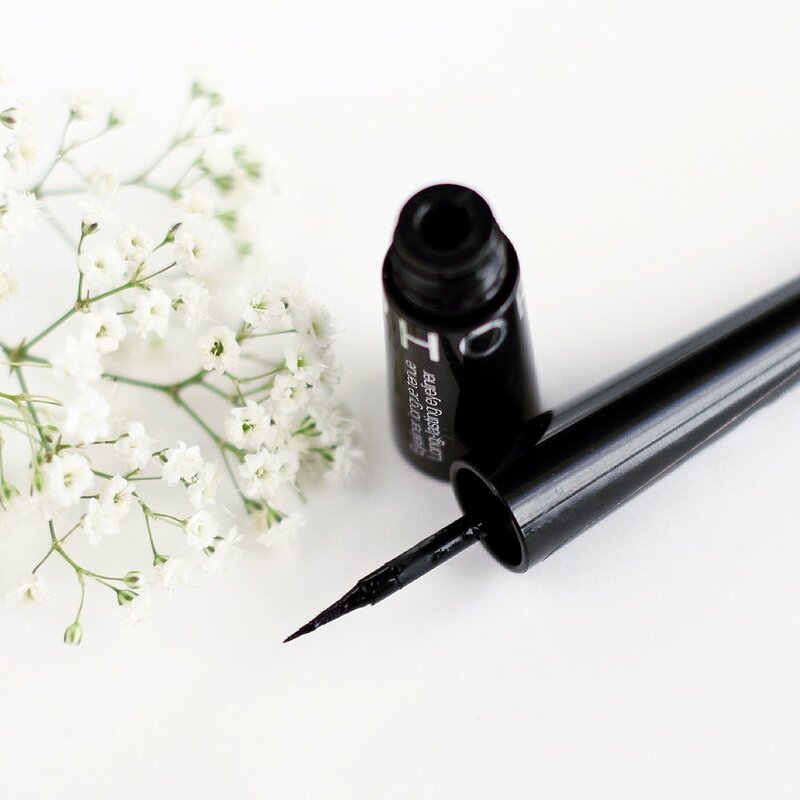 However the tip of the Sephora eyeliner is very thin and allows you to get the thinnest lines ever, which sometimes can be really helpful if let's say you want to achieve very defined and precise winged eyeliner. Actually, there are two liquid eyeliners by Sephora that are exactly the same but the only difference is the brush, so you can buy this eyeliner with even thinner brush in case you find it easier to use (link here). Even though I prefer the shape of the Sephora eyeliner brush, I really like the Ink Liner brush. It's very soft and I don't know why but it just feels nice on the eye lids, plus I find it easier to use. I have to admit as well that the MUFE packages are way better then Sephora's. I know that packaging isn't that important, but I think it does matter sometimes that's why decided to mention it.